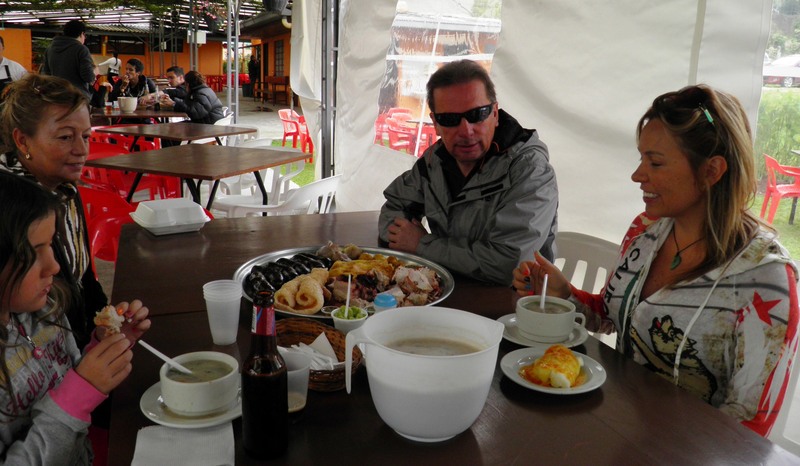 Since we’ve talked about the beauty of Sunday afternoons in Bogotá in previous posts – today we will talk about another great Bogotano Sunday tradition – the afternoon ‘in the country’. When Bogotanos need or want a break from the hustle and bustle of the city – they don’t have to go far to enjoy a sunny afternoon in a more rural setting. Just twenty minutes outside of Bogotá – the climate becomes warmer, and the landscape more serene. Bogotanos by the carloads head out to enjoy an afternoon of “Colombian tipica” cuisine which includes some of my favorites; Morcilla (a delicious blood sausage), a corn-based soup, arapas, ribs and an array of traditional Colombian foods. 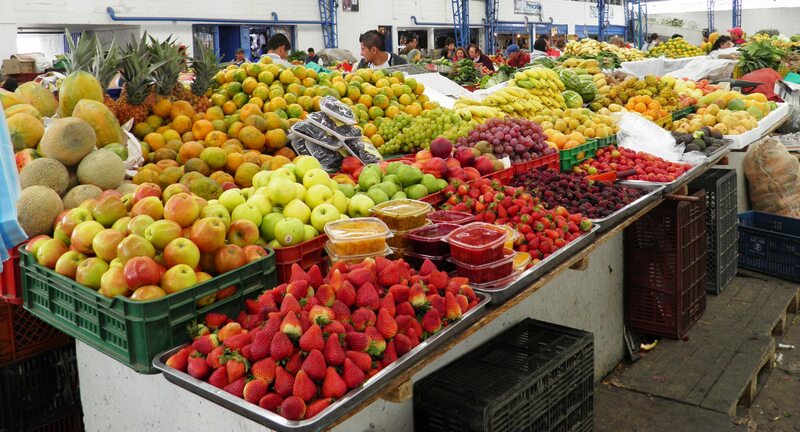 I know that I’ve talked about the various fruit markets before – but for me; these fruit markets are a symbol of how I see Colombia as a nation: a country with such a rich bounty of resources, and a colorful mix of history and culture. To me – it is impossible not to feel this way while strolling through the aisles.. Beautiful, colorful, deliciously rich fruit; familar standards (bananas, apples, oranges, strawberries) mixed in with the more exotic textures and tastes (frujoa, uchuva, guabanaba, about ten varieties of mangos, six different pomagranate type fruits, the sweetest pineapples ever tasted..) And that’s just the fruit.. In the United States, we often tout our love of family and friends – but just as often, we don’t make the time to spend with them. (I am just as guilty of that as anyone else.) But – it ‘s different here – no matter how busy (and many of the people I know here are extremely busy!) people stop to have a leisurely cup of coffee, a stroll in the park, or a long lunch with friends.. As someone who frequently travels alone – the friends I have made here during my extended visits have made a huge difference.. It’s more than the informal tours, and accidental introductions – it’s the sense of friendship, love and comraderie which made six months away from home and family bearable.. Not only that – but I find that these habits, and traditions become part of the lifestyles of everyone who lives here – so the Americans, the Germans, the South Africans and everyone else I’ve met has adopted many of these practices as well. I know I have – taking time to smell the flowers, enjoy the day, no matter what else is on my schedule – and remembering to enjoy time with and appreciate the people I am with.. 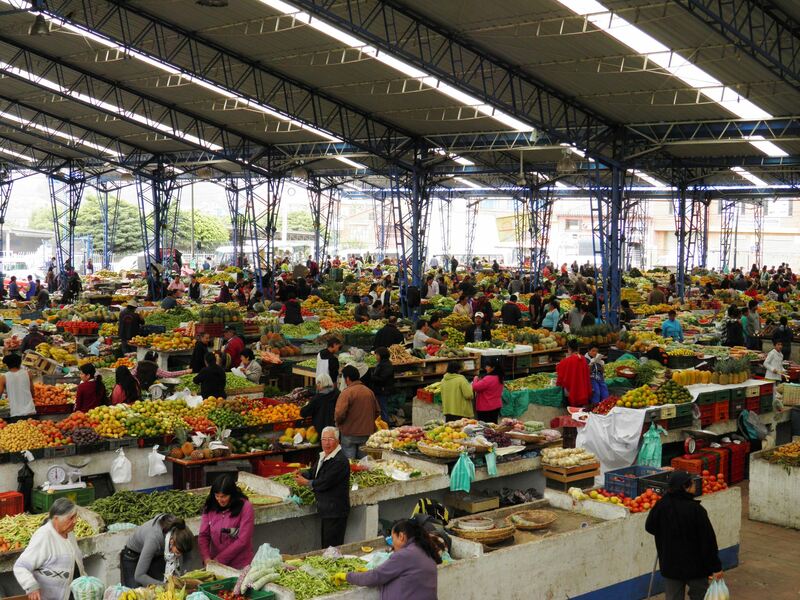 This entry was posted in Bogota DF, Cuisine & Culture, Travel and tagged eating in latin america, food, Notes and tips on Traveling in Latin America, regional cuisine. Bookmark the permalink.